Award-winning smoke ventilation contractor Fire Design Solutions (FDS) has been appointed to provide its systems and expertise for a distinctive new London residential development, from Redrow Homes. Once complete, Harrow’s Lyon Square will feature over 300 one, two and three-bedroom luxury apartments with direct access to the City, plus a courtyard, underground parking and cycle store. The appointment will see FDS supply, install and commission Mechanical Smoke Ventilation Systems (MSVS) in eight of the development’s blocks, ensuring that smoke can be quickly extracted from common areas in the event of a fire, providing a means of escape for occupants while also improving access for attending fire fighters. The MSVS will incorporate a Corridor Environmental System, which will use the existing fans and shafts found in the mechanical systems to remove excess heat during day-to-day operation. To maximise resident comfort, the environmental system will operate at low speed overnight, and acoustic silencers will be fitted to the inlet and outlet of each smoke fan, ensuring that noise is minimised. The whole system will be monitored via an addressable Corridor Smoke Detection System, including optical smoke detectors, a central concierge panel and sprinkler monitoring, which will feature in two of the development’s blocks. In addition, FDS has been appointed to supply, install and commission a Thrust Ventilation System for the development’s 3,330m2 single-level car parking area, including induction fans, carbon monoxide (CO) detectors, fire detection systems and a control panel. As well as clearing smoke in the event of a fire, the induction fans will also operate when CO levels exceed 30 parts per million, ensuring the safety of the car park’s users. Once work on site is complete, FDS will also ensure that the fire safety systems installed are maintained to the highest possible standard, carrying out two maintenance visits per year and providing a 24-hour call-out service. 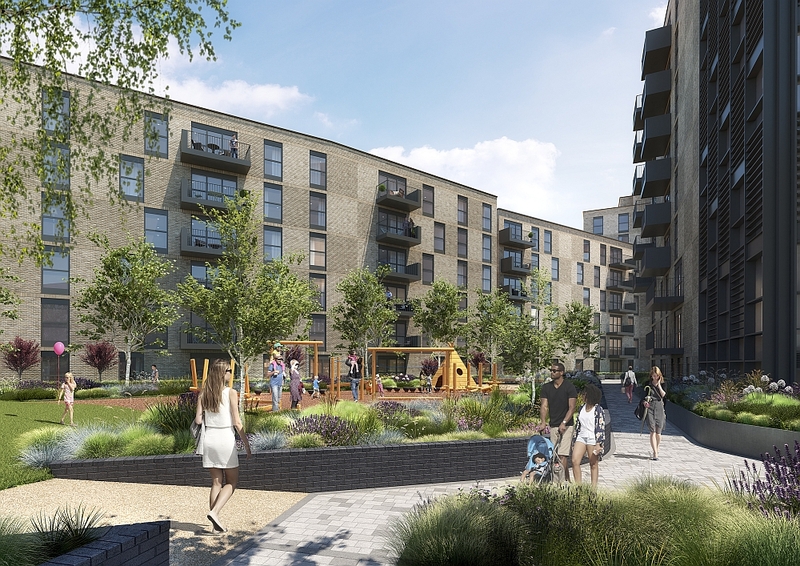 Speaking on the project, Simon Halfhide, Sales Director at Redrow Homes said: “Harrow is a vibrant, character-filled area, and Lyon Square will make an excellent addition to the area. First completions at The Lyon Square development are due June 2017.